I wanted to pop in today and share some exciting news with you. The Dare 2B Artzy Design Team is taking place in a awesome mega HOP that starts on Friday, March 24th. It’s the Coffee Loving Card Makers HOP and Dare 2B Artzy is a SUPER SPONSOR. Yay! What does that mean for you? Lots of fun! Lots of Inspiration from the Dare 2B Artzy team! Oh, and not to mention all the fab prizes that will be up for grabs. There are 30+ sponsors on this HOP! Dare 2B Artzy will be giving away $20 in store credit. That should get your crafty mind percolating. It’s going to be so much fun! For anyone who doesn’t know, Coffee Loving Cardmakers is a blog hosted by Amy Tsuruta and Chaitali Narla crafty people who share their love of card making and what else….COFFEE! That’s right – the fuel to your morning fire or as I refer to it as my Go-juice! In celebration of this awesome HOP, Dare 2B Artzy has a Coffee Lovers Special going on in the online store. The special includes a 10% Discount and Free Shipping during the month of March. Hard to pass up a good deal like free shipping and a discount…NOW is the time to grab all those stamps & dies you’ve had on your wish list!! 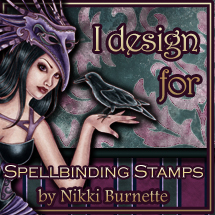 Particularly the super adorable new COFFEE stamps and dies. Whoo-hoo!! Join Dare 2B Artzy for this super fun, week long celebration of coffee and card making beginning on March 24th. The theme for the hop is Spring and what else….coffee, of course!! Hope to see you there. In the meantime, I’m leaving you with a little sneak peek of my card for the hop. I’ll be back next week with my card for the HOP. Love your sneak peek! So excited that Dare 2B Artzy is a super sponsor for the blog hop!